CAMP LEATHERNECK, Afghanistan — Good morning, friends. We’re still on this forward operating base today, which gives me a good reason to bring up something Marines have going for them here. 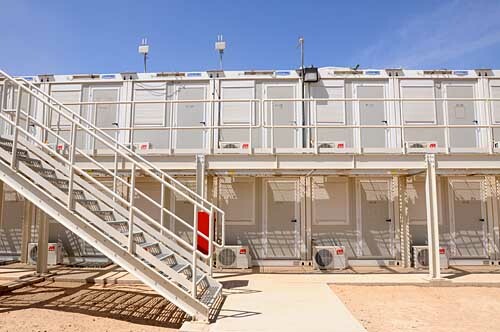 Leatherneck’s housing and quality of life have improved dramatically over the last couple years, particularly after the U.S. military shipped in containerized housing units, or CHUs. Most permanent personnel aboard Leatherneck live in them, typically sharing an air-conditioned 8-foot by 20-foot space with at least one other service member. That’s tight quarters, but it beats the heck out of a dusty tent. The CHUs have an interesting perk, too. The military installed a free wireless network for service members in several of the areas, posting antennas resembling satellite dishes on the units. Marines say the service is slow during peak usage times — think early evening, especially — but it picks back up when the majority of personnel on the base is either sleeping or working.